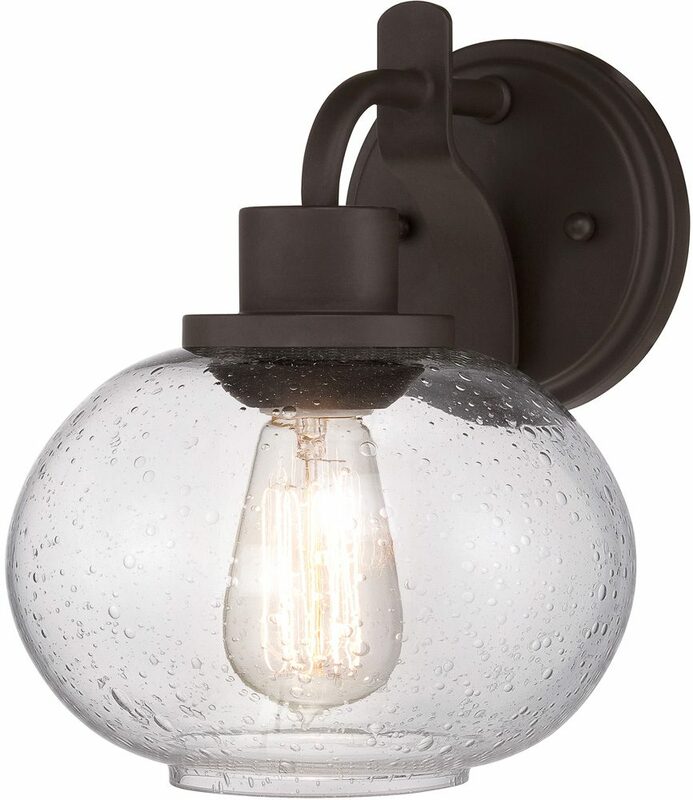 The Quoizel Trilogy 1 lamp single wall light in old bronze finish with seeded glass shade features a circular wall mount, braced over-arching arm and clear seeded glass bowl shade containing a bare vintage style lamp bulb. This wall light pays homage to Thomas Edison with a vintage-inspired filament bulb that is not only nostalgic but also very chic. With the Old Bronze finish and the clear seedy glass shade, Trilogy combines modern elegance with old world style. The fitting is supplied with a vintage light bulb as shown in the images. Additional lamp bulbs can be purchased by following this link. Designed by Quoizel, founded in 1930 in New York. Quoizel products are now being introduced to the UK market and have quickly built a reputation for their diverse, unique and fresh designs like the Trilogy 1 lamp single wall light in old bronze finish with seeded glass shade you see here.